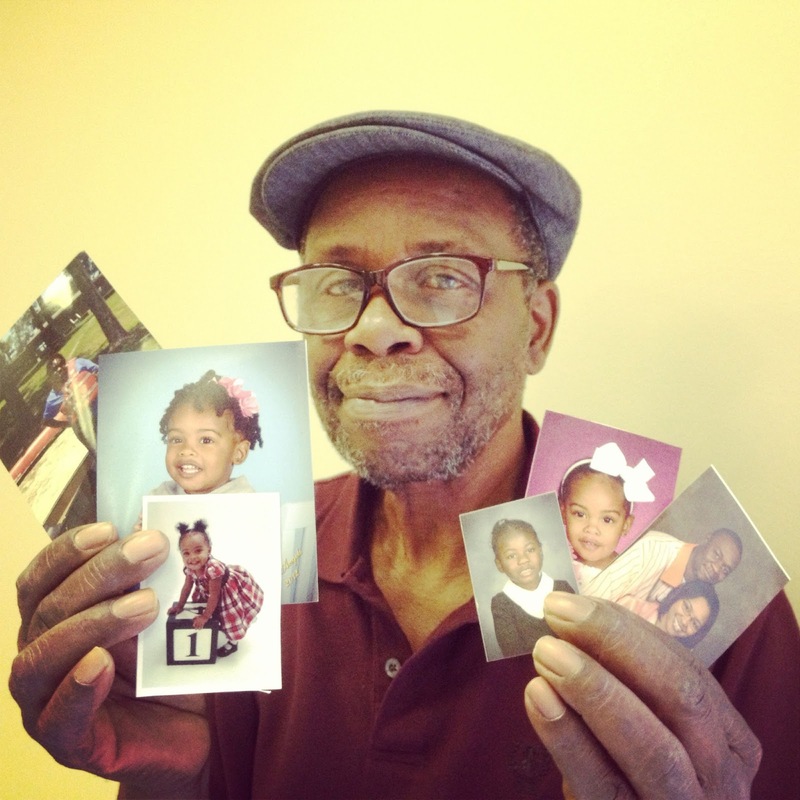 Last month, Norman "played hooky" from class to see his family in Mississippi and Georgia. First vacay in eight years, can you imagine? I love it when our seniors play hooky for good reasons BTW!! Thanks for inviting Norman into our class. After he became a regular member, he told me that (prior to joining) he had been so irritated by the attitude and behavior of the young people in Philadelphia that when he saw a few of them entering our room among the seniors, he lost his curiosity about our group. Norman was using the computer in a nearby room, when a friend convinced him to try one class and when he did, Norman not only enjoyed the stories and good humor of the seniors, but was happily surprised by the courtesy and talents of the students and other young visitors coming to our writing class. Norman and I have become good friends, and enjoy many conversations, mostly about various opponents and teammates over the years in the local basketball world. Thanks partially to the enthusiasm and added perspective of the younger folks, we also discuss some history and cultural influences. I will be absent for the next two sessions of The Best Day of My Life (so far) because I will be going to a suburb of Jackson, Mississippi for two weeks to see my daughter and her family (especially a four year old granddaughter named Genesis that I have not physically seen). I’m looking forward to the trip which will start on Monday, May 13th and extend to May 24th. I will be going by bus. The trip will take approximately 30 hours…which I do not mind because I love to see various parts of the country. If I can arrange it, I will also visit Atlanta to see my sister. I’m looking forward to seeing my family as well as the barbecue that will be in abundance. I will miss the two sessions and the guys, but will return with a story of what happened during my vacation. Between May 13 and May 29, 2013, I was blessed with an over-due vacation. It was my first extended trip in eight years. I was fortunate enough to visit relatives in Jackson, Mississippi and Atlanta, Georgia respectively. I was able to feel the intensity of spirituality, taste succulent barbecue, hear the songs of the early morning birds, and see the marvelous wonders of nature…its trees, rivers, flowers. The first leg of my journey was in Brandon, Mississippi, a suburb of Jackson where I was reunited with my daughter, her husband, and her two-year-old child that I saw for the first time. My daughter’s mother and two sisters as well as a niece from their clan also live in the vicinity. They all made me welcome and I was especially happy to have the opportunity to spend the days with Margaret, the matriarch of the family. We had not been a couple in 36 years but have remained friends. She had been sick for several years and our reunion was dually therapeutic. While in Mississippi I attended two church services. The first was at a Mormon Church that was hosting a Gospel Concert. The choir count was 100 strong and overwhelmingly Caucasian, but surprisingly echoed a top echelon Afro-American ensemble. It was directed by none other than Gladys Knight. Yes, she is a devout Mormon. She did sing one solo so that we could hear her beautiful voice, however the emphasis was placed on her astounding choir. She leaded well and her oratorical skills matched her singing skills. The second visit to a church – which was Baptist and my daughter’s home church – was small, had a great yesteryear choir, old-fashioned preaching, and featured prayers that honored its graduates from kindergarten through college. It was a heartwarming experience for me. On the 27th of May, I arrived in Atlanta, Georgia with my sister. There I was reunited with her daughter, grandmother, great-granddaughters, and grandson. My sister showed me the house where many of Tyler Perry’s productions were filmed. She would point out the people that she knows personally that appeared in them. Tyler Perry believes in using locals in his productions. In summation, I can say that I was disappointed that the news straight through highways prevented me from seeing the scenic country and small towns that were a given phenomena years ago. But that is progress. And progress has changed the complexities of its cities from Norman Rockwell quaint to microcosms of New York, miniature skyscrapers stretched into the sky. Also it seemed that the farms have increasingly been replaced by the likes of McDonalds, Rite Aide, and Family Dollar. It was a good trip, one that I’m looking forward to repeating soon.